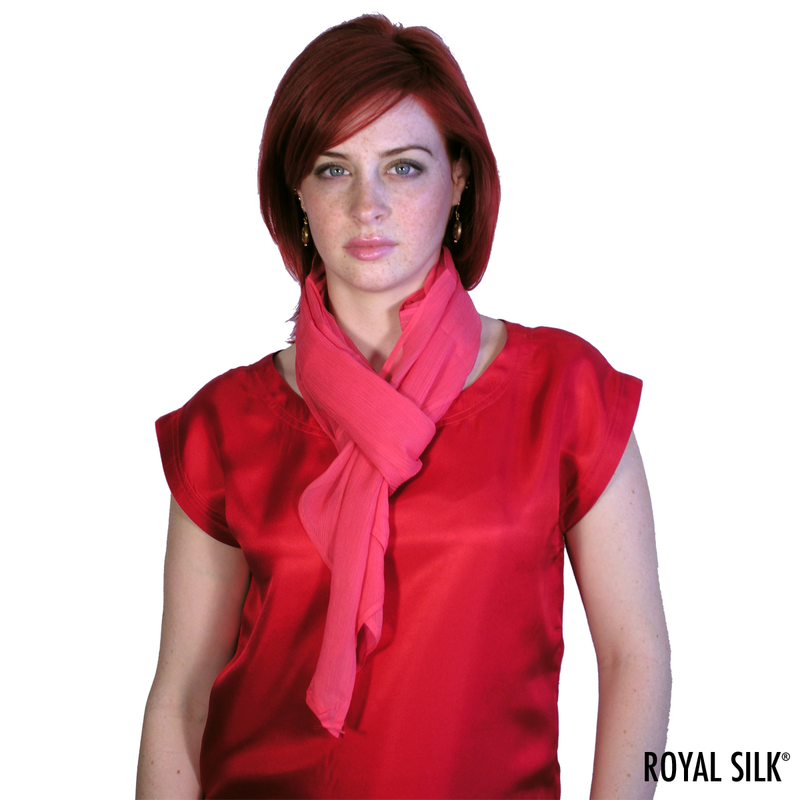 Long, flowing, crinkled silk chiffon scarf by Royal Silk. 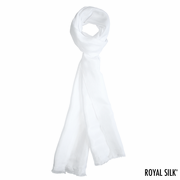 Fabulous silk accessory that is fashionably skinny and long to wrap and tie in sensational ways. Because these are hand made, sizes vary slightly, but run around 10” wide to about nine feet long. 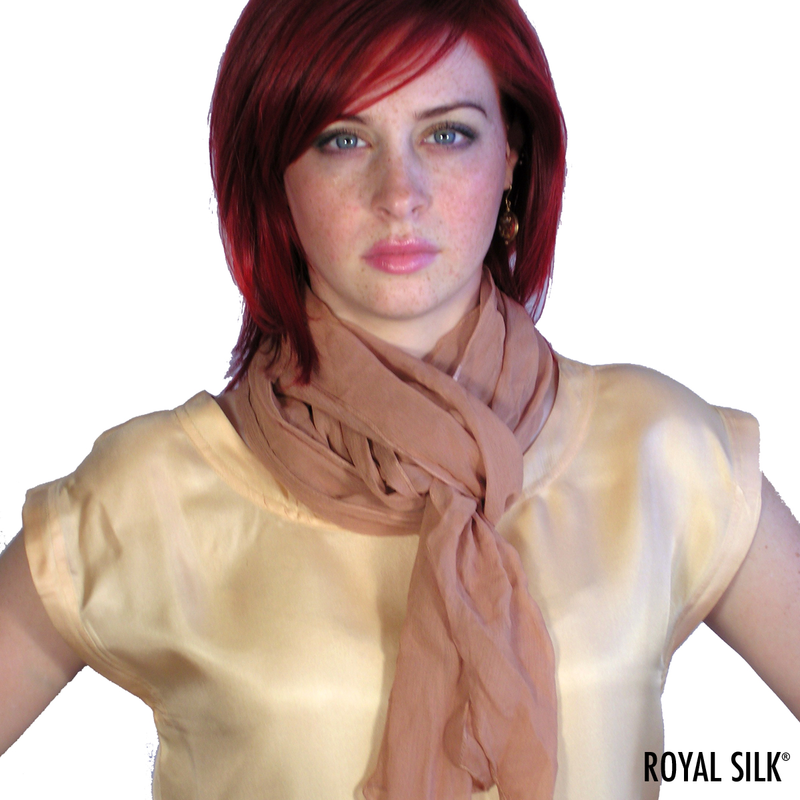 Seven sheer silk colors.